With the launch of the Emergency Greece campaign, a group of doctors has decried the medical situation in the country as “apocalyptic”, blaming the Troika’s crippling austerity measures. EURACTIV France reports. A group of Belgian health professionals, supported by the public hospitals in Brussels and the Greek branch of the NGO Doctors of the World, has come together to raise awareness of the medical crisis unfolding in Greece. Through the Emergency Greece initiative, the doctors launched an appeal for donations and a petition to help the Greeks and convince the EU to spare the country’s medical sector from the severe budget cuts imposed on the country as part of its bailout deal. 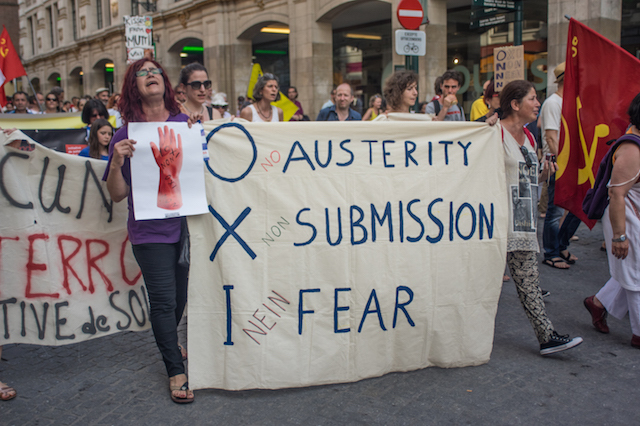 From March to June this year, the NGO’s health professionals and volunteers are leading an awareness campaign to avoid what they call a “medical Grexit”. Their fundraising activities include the organisation of conferences and the sale of first aid kits and Greek meals in university canteens. 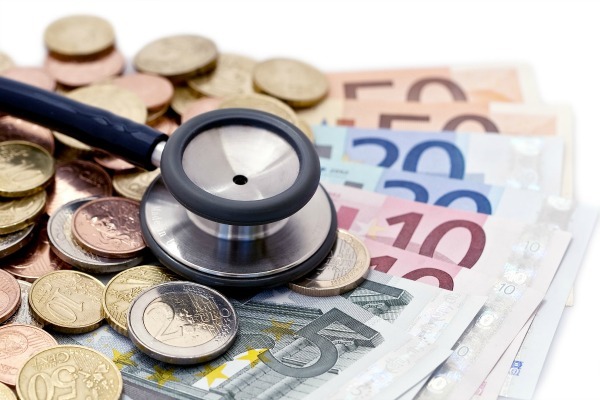 The EU has singled out health as one of its top priorities and has launched various initiatives aiming to reduce inequalities in access to healthcare across the member states. Yet the Troika (the European Commission, the European Central Bank and the International Monetary Fund) has refused to exclude the Greek health sector from the austerity measures it has imposed on the country. 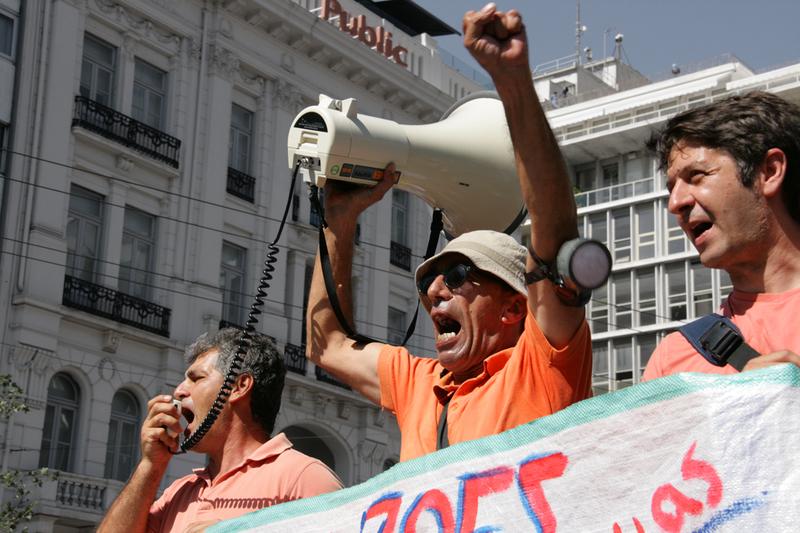 While these austerity measures may bring savings in the short term, their catastrophic effects on health and access to healthcare are likely to cause lasting, costly damage that could harm Greece’s long-term economic recovery. Austerity policies in the EU have eroded the poorest citizens’ access to education and healthcare. According to a European Parliament report, the situation is most dramatic in Greece. EURACTIV France reports. 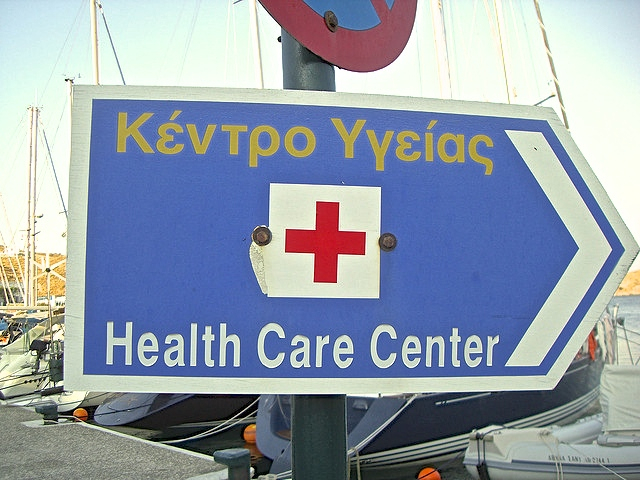 Until 2010, the Greek health system was based on occupational insurance funds, which were regularly bailed out by the state. This system, which was far from ideal, was due for an overhaul, but the Greek crisis struck before changes could be enacted. Budget cuts were compounded by an increase in unemployment and a reduction in social security payments, and in just a few years, the Greek Health Ministry’s budget was cut in half. On top of rising child mortality (51%), neonatal mortality (32%) and child poverty, around three million people are living in insecurity, with no health insurance, and a third of the population cannot afford to heat their homes in winter. The country has also seen vast increases in Ear Nose and Throat (ENT) infections, cardiovascular problems linked to stress and the spread of HIV. Add to this a lack of medicines and an increasing number of patients relying on underfunded public hospitals (only a small elite can now afford private healthcare in Greece) and the outlook is bleak. According to Emergency Greece, using data from a number of scientific and official studies, Greece has also experienced a large increase in mental health problems (depression, etc.) linked to the extremely precarious economic situation. And the country’s medical problems are beginning to touch other areas of society: as the number of unvaccinated children reaches dangerously high levels, more and more are being excluded from school. Greece is very close to 'tearing down the vaccination barrier', according to the humanitarian group Doctors of the World. “I was well prepared and I think I was well informed on the subject, but when I visited the hospitals of Thessaloniki, I was confronted by an apocalyptic situation,” said Yvon Englert, the coordinator of the Emergency Greece project. The gynaecologist and former dean of the faculty of medicine at the francophone Free University of Brussels visited Greece at the end of 2015 and returned “flabbergasted” by what he saw. The state no longer reimburses public hospitals for the care they provide, and many are now tens of millions of euros in debt. Providers of medical equipment have cut down their deliveries and clinics have been left without many of their basic provisions. Healthcare professionals are distressed, powerless to help and often depressed. The Greek health minister, Adonis Georgiadis, has defended the introduction of a new €5 hospital fee following criticism from other parties in parliament. “Every week, the director of the university hospital meets the heads of service to decide which types of care they will cut. I am talking about care for patients that still have social security, but that are forced to bring their own medical equipment in order to receive the care they need,” Englert said. Originally, Doctors of the World set up in Greece to offer care to refugees and migrants passing through. But today, 45% of the patients the organisation treats in Pireas are Greeks who have nowhere else to turn. The Emergency Greece initiative has several points of focus. Part of the money collected will be used to fund a new polyclinic opened in Pireas by Doctors of the World, which will specialise in psychiatric care, but will also distribute food parcels to the poorest Greek citizens. On the island of Euboea, Emergency Greece plans to establish eight dispensaries and a health centre. And finally, in Thessaloniki, the NGO hopes to provide incubators for babies and reagents for blood testing. 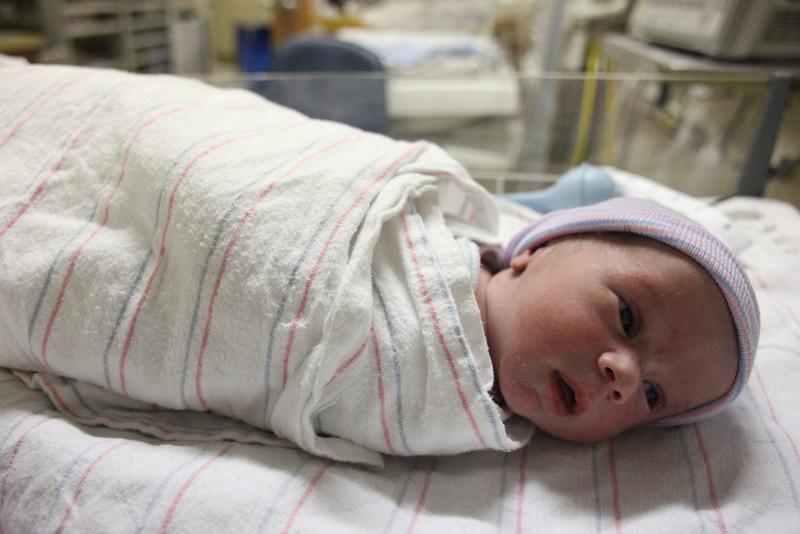 With premature births becoming increasingly common, due to the poverty of the city’s inhabitants, incubators are an indispensable tool: without the right equipment, the majority of premature babies cannot be saved. Reagents are vital for testing the safety and compatibility of blood for transfusions. Greece has experienced more deaths by population from flu than any other European country this year, according to data collected by the European Center for Disease Prevention (ECDC) and published in Greece by the Athens Medical Association (ISA). For Englert, the social aspect of the European Union is its most important dimension. He believes that the European institutions should be encouraged to help Greece and to ensure that the right to healthcare in the EU is not brushed aside. With this in mind, Emergency Greece launched a petition, alongside its call for donations, which will be extended across Europe in the coming months. Englert stressed that he sees universal access to healthcare as a specifically European phenomenon: nowhere else do so many citizens enjoy such comprehensive social security. But the gynaecologist insisted that the EU must do everything it can to ensure that this principle does not disappear in Greece. “We must remember that it is a European issue at stake in this Greek tragedy,” he said. Greece cannot take any more austerity, as it will cause more social unrest and lessen the chance of recovery, a United Nations debt expert said on Monday (6 July). Well said about the crisis in the Greek health system, but the article misses the point of the government’s continuing nepotism practices in appointing key persons in the health care system. In this way it is impossible to make any progress and the only ones that suffer are the public, at least those that are not the appointed by the government. The NGO absence from that debate speaks volumes about their funding and real will to improve the situation.